Henderson Water Utility (HWU) takes its role in safeguarding the public health very seriously. We also take a lot of pride in producing and delivering to you high quality water that you can be confident in. HWU is paying close attention to the developing water quality problem in Flint, Michigan. Our thoughts are with all those who are struggling without access to safe and reliable water in their homes. No one should have to question the safety of water at the tap. As your water provider, we would like to take this opportunity to answer a few of the main questions and concerns that you might have about lead and copper in your drinking water. The drinking water that HWU produces and sends throughout its network of water mains is safe, with levels of lead and copper that are extremely low. However, if a water customer has old lead service lines running between the water main in the street and the home, or has old lead plumbing inside the home, then it is possible that unsafe levels of lead might be present in the water supply. When lead and copper regulations became effective around 25 years ago, HWU began to remove all old lead service lines we could find. However, there are occasions when we discover older lead service lines that were not indicated in any of our records. When these lines are discovered, they are immediately and completely replaced. 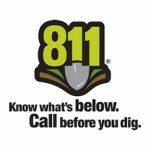 If you suspect your home might have a lead service line, contact HWU at 270-826-2824 about working together to replace the lines. You should eliminate any lead plumbing lines if you have them in your home, but this is not an easy or inexpensive solution for many. How Are Lead and Copper Concentrations Measured? 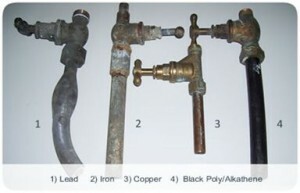 Lead and Copper levels are regulated by what is called an Action Level (AL). If the concentration of lead or copper is greater than the AL, corrective action must take place. The Action Level for Copper is 1.3 mg/L, or about 1.3 parts per million (ppm). The Action Level for Lead is 0.015 mg/L, or about 0.015 ppm. As is shown by the test results, the amounts of both lead and copper are well below Action Levels. How Reliable Are These Test Results? They are as reliable as we can possibly control. How Does HWU Monitor for Lead and Copper in Drinking Water? In areas identified to have had lead and/or copper plumbing in the past, we sample a minimum of 30 residences. The occupants of these residences receive instructions to only collect a sample after the water has been dormant in the plumbing lines for at least 6 hours. The sample should be collected from the cold water supply of a faucet that is only running a slow flow. The reason for this is that if there is the presence of lead and copper, this method is going to be the surest way to catch it. 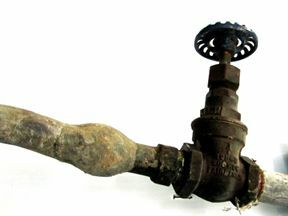 The longer water is dormant in a lead or copper line, the more opportunity there is for lead or copper to leach out of the piping. One of the major concerns that have been identified with the Flint crisis is that the sampling procedures some communities are using can lead to false data. Customers are being instructed to run their water for several minutes before collecting their sample. Some are also being asked to remove strainers from their faucets. Flint’s method of sample collection is the proper procedure for certain types of sample collections, but not for lead and copper. HWU’s customers who are collecting lead and copper samples for us are instructed to collect the “first” water and not to remove anything from the faucet where the sample is collected. What Is My Water Utility Doing To Ensure That Lead and Copper Doesn’t Become A Problem? 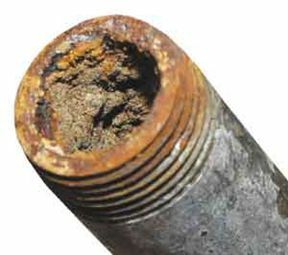 The main contributing factor to lead and copper contamination is the production of corrosive water. But this isn’t the only factor. Water age, corrosion control additives, pipe conditions and other factors contribute as well. HWU strives to produce water that is as close to neutral (neither corrosive nor scale forming) as we can, while still maintaining proper quality standards in the distribution system. We add a corrosion inhibitor to the finished water, but we also have a lot of older piping in the ground that has scale buildup. When scale buildup occurs, it restricts the flow of water and reduces line pressure. It is a balancing act. Our consistently low lead and copper results indicate that what we are doing is yielding positive results and maintaining more than adequate safeguards against contamination. Additionally, HWU only purchases fittings, meters and other parts that are low-lead or no-lead. Our purchasing policy is in conformance to the latest American Water Works Association Standard C800. Can What Happened in Flint, MI Happen Here? Yes, it could, but it is highly unlikely and would take many levels of checks, balances and safeguards to fail. We do not have first-hand information about what occurred in Flint, but this much seems clear: When Flint switched its water supply source, it did not take the required steps to manage water chemistry. 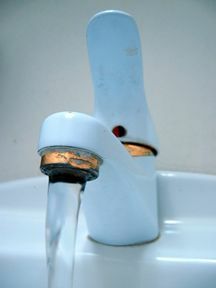 The new water caused lead to leach from service lines and home plumbing – lead that ended up in water coming out of the taps. What happened in Flint, MI is going to change the landscape regarding the attention that gets paid to lead and copper levels in the water supply. However, even without that having happened, there are multiple levels of controls that are in place at Henderson Water Utility to ensure that lead and copper contamination doesn’t become a problem. The treatment plant operators are constantly monitoring the pH (acidity) of the water coming in and leaving the plant. We are installing more and more analysis equipment in the field that relays real-time data to our staff. 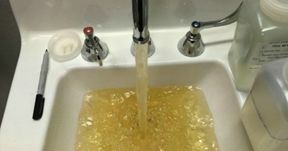 Operators can be liable to federal prosecution for the neglect that would have to be present for lead and copper contaminated water to happen here. You see a high level of motivation for us to be extremely vigilant in doing everything possible to never allow that to happen. What If I Suspect A Problem With My Water? 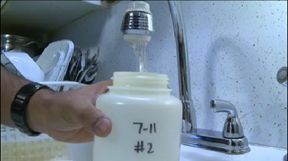 If you ever suspect a problem with your water, Henderson Water Utility wants to know about it. It is our goal to have satisfied customers who are confident and proud of the quality of their water. To that end, we welcome every question that comes in, we investigate every complaint, we communicate every concern and we work hard to correct every problem. Our customers are a vital resource to us in understanding how the water is affected after it leaves the plant. What you taste, smell and observe is crucial to our providing you with the best quality water that we can. What Measures Can I Take To Ensure The Best Quality Water In My Home? Here are some simple things that every customer can do to ensure the best quality water is coming out of their faucets. Always use fresh, cold, running water for drinking and cooking. Never use hot water from the faucet for drinking or cooking, especially when making baby formula or food for infants. Always buy plumbing fixtures that have zero or low-lead levels. Read the labels of any new plumbing fixtures closely. Get your water tested. 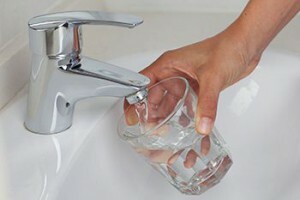 The only way to know with certainty if you have lead at the tap is to have your water tested by a certified laboratory. If you are concerned that your family is at risk, HWU can help you find a lab to test for lead. Purchase a certified water filter that is effective at removing lead. Make sure that the filter is changed at the frequency recommended by the manufacturer. More information can be found on www.DrinkTap.org or at the American Water Works Association (AWWA) website, AWWA Lead & Copper Information . Again, if you have any questions please do not hesitate to call us at 270-826-2824. We are at your service.